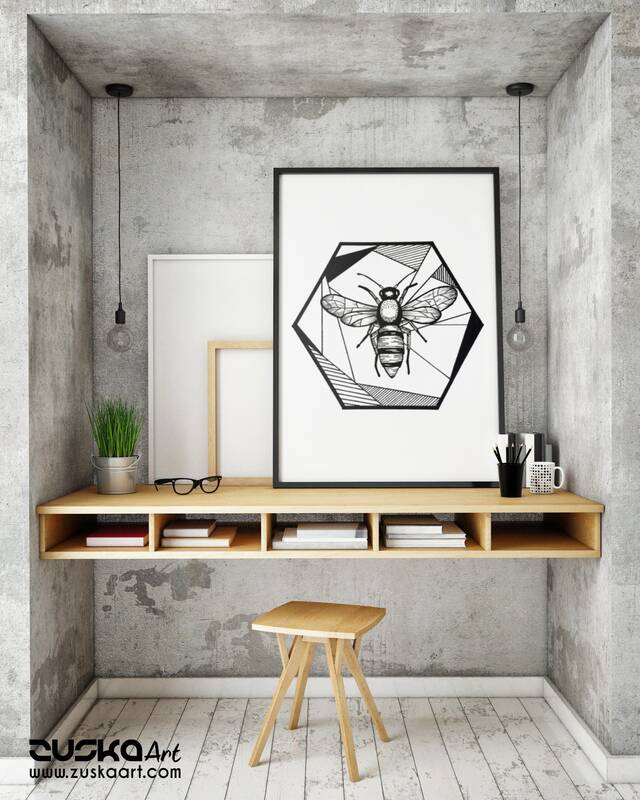 Save the bees. 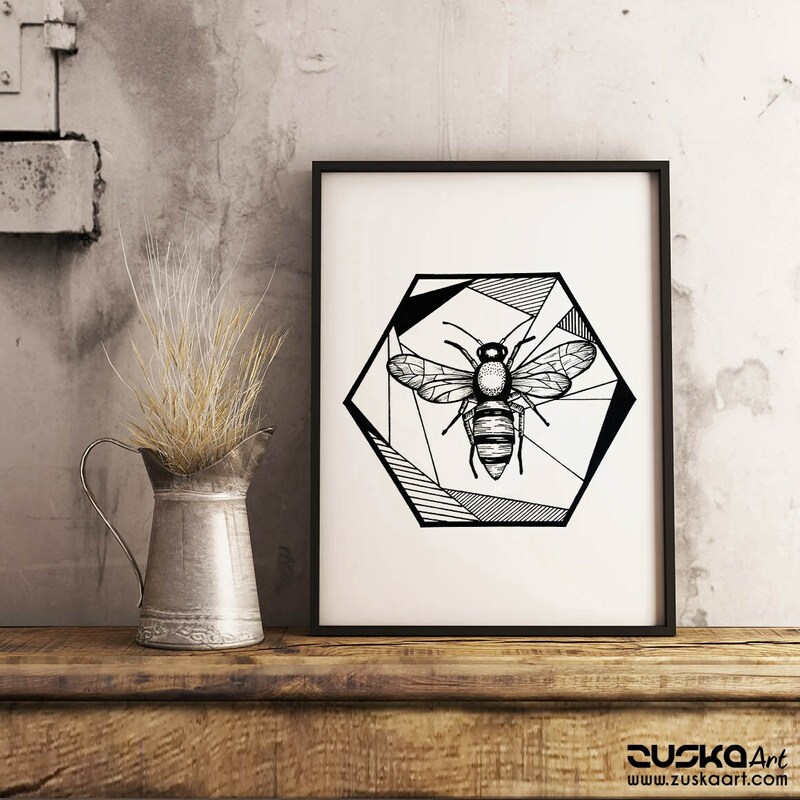 Honeycomb hexagon pattern in tattoo style perfect for bee and honey lovers. 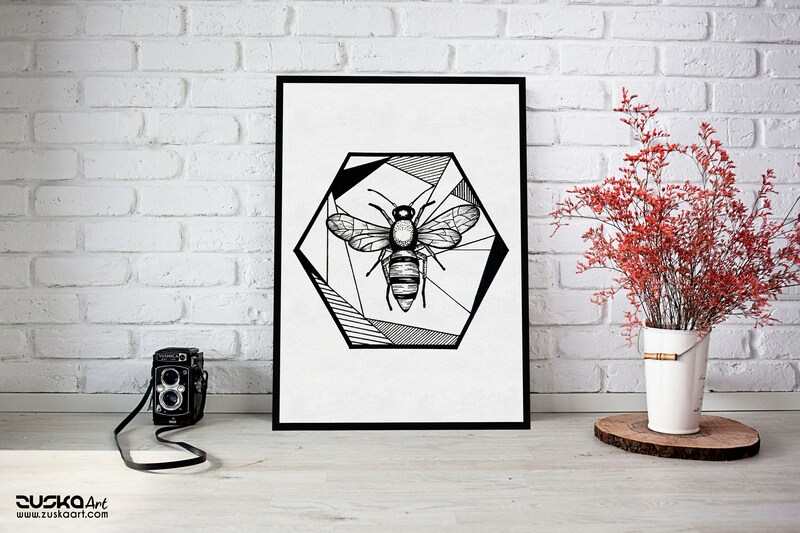 Geometric design with lines and dots. 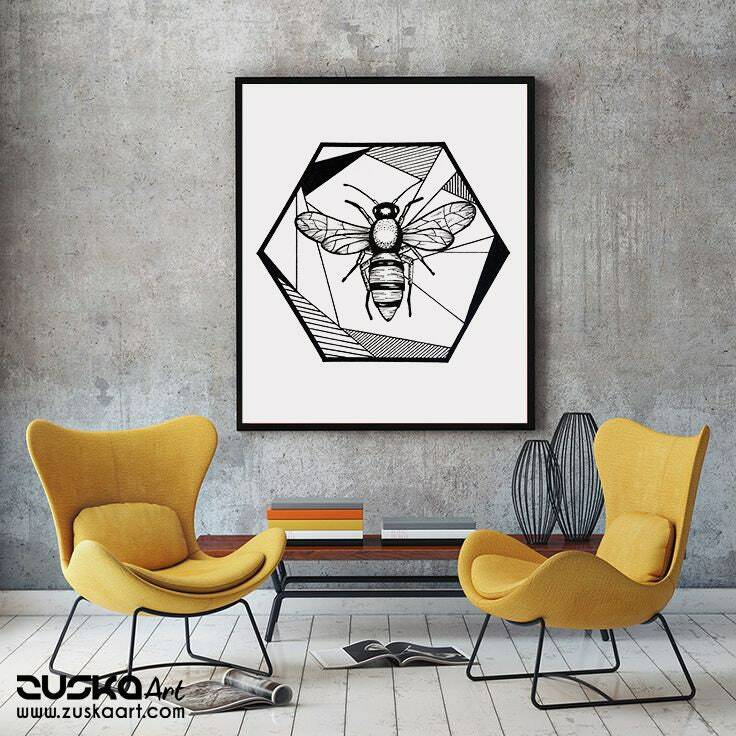 Monochrome bee art for bees awareness and flowers, plants and trees preservation. 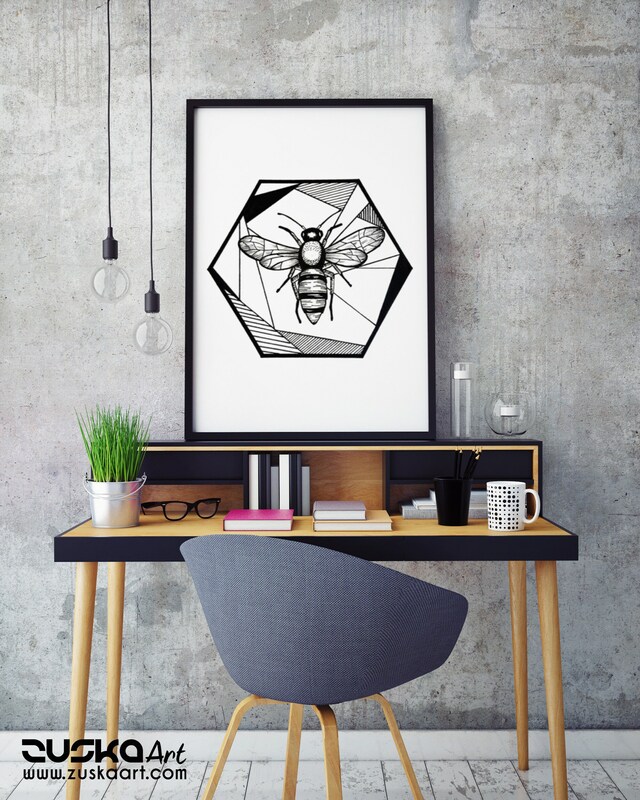 Great gift for a beekeeper, gardener or gardening passionate.